1. 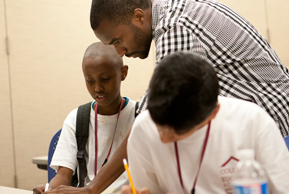 Steppingstone’s mission: Helping Boston students prepare for college success! Read more highlights about teaching with Steppingstone in the summer and during the academic year here. Why do Teachers Come Back Each Year? 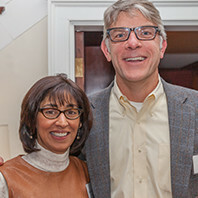 We are proud that many of our faculty members return, year after year, to be part of the Steppingstone teaching community. Why do they come back? Find out here. 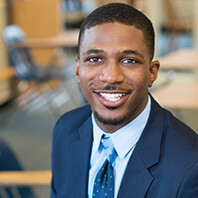 As essential members of the Steppingstone community, teachers have a unique perspective on Steppingstone’s programs. Read about teachers’ experiences with Steppingstone here. 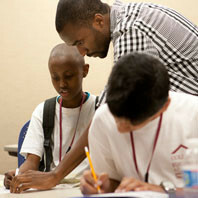 Each summer, the Steppingstone community honors faculty members who’ve had a powerful impact on the Scholars we serve. Read past spotlights here. 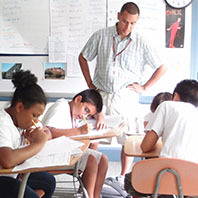 If you’re passionate about teaching and you’re interested in bringing educational opportunities to Boston students, then you should consider applying for a faculty position at Steppingstone. 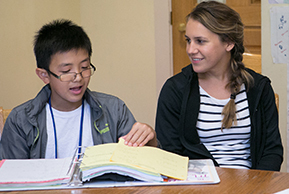 Read about our academic year and summer teaching opportunities, and if you have questions, reach out to Jane Ventrone, Senior Director of Teaching and Learning (jventrone@tsf.org or 617-423-6300 x242). We accept teaching applications throughout the year. Any positions we are actively hiring for can be found on our career page.